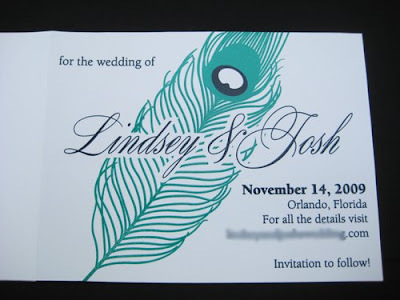 I recently worked with Lindsey & Josh to create the most fabulous peacock wedding invitations & save the dates. 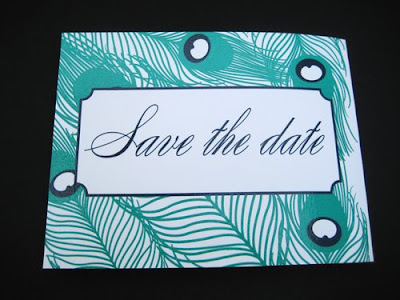 Their ceremony will have a vintage, Great Gatsby feel and they wanted to tie the peacock design into that. I wish that you could see these in person... the bright green & deep blue jump off the page. 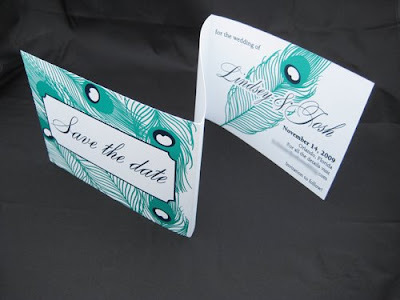 These were thermography printed in a tri-fold design with the middle left empty for one of their engagement photos.